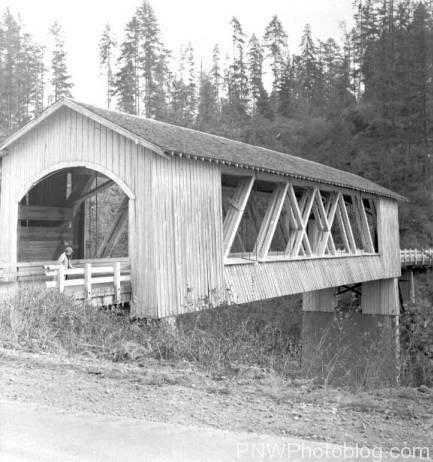 Linn County built the Hufford Covered Bridge in 1938 using the Howe Truss design that was developed by the State of Oregon and given to the counties for free. 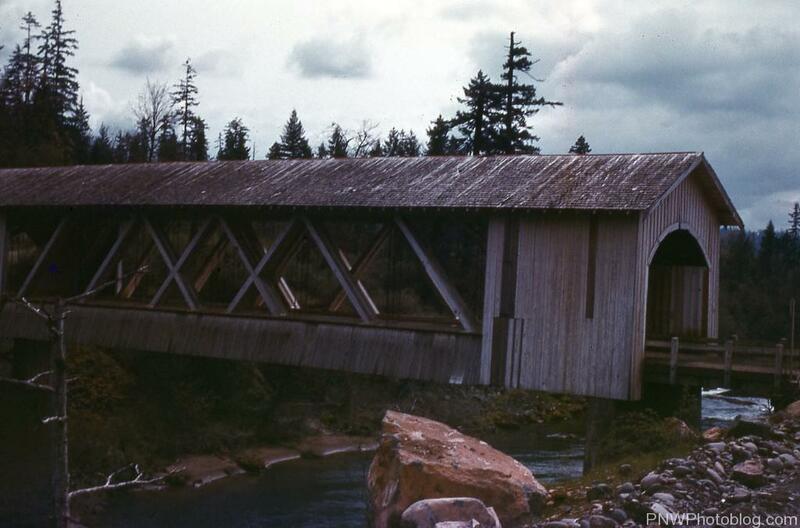 The 120 foot long span crossed the Middle Fork of the Santiam River and was built at a cost of $6000. Unfortunately, just like the Foster Covered Bridge, it was destroyed in 1966 to remove it as a potential hazard before Foster Lake flooded. The bridge was located 3 miles “North” of Foster, Oregon on the Quartzville Road. It’s actually more east then north right outside of Lewis Creek Park in the water.